Obituary – Faris, William G. « Perry High School Alumni Association, Inc.
Obituary – Faris, William G.
﻿Bill Faris, 74, 1027 Thirteenth street, died at 12:15 p.m. Sunday at Green Valley Nursing center after an illness of six years. Funeral will be at 2 p.m. Tuesday at Parker-Brown Funeral chapel with Dr. Charles Sapp, pastor of the First United Methodist church, officiating. Burial will be at Grace Hill cemetery. The family has suggested memorials to the Heart Fund or the First United Methodist church. 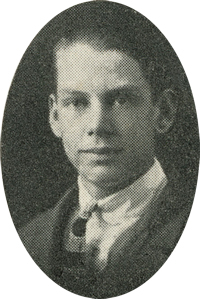 Faris was born at Perry on April 19, 1910, the son of Walter and Luella Faris. He was a 1929 graduate of Perry high school. Faris and Jeanne Combrink were married at Cherokee, Feb. 24, 1945. 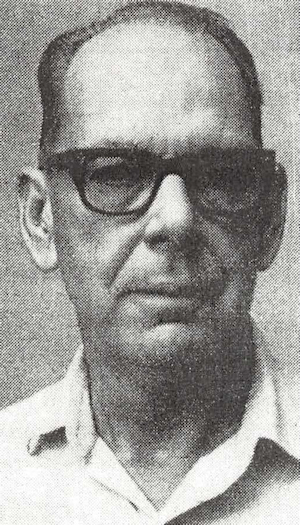 Faris operated Bill’s Repair Shop from 1936-54; was advertising manager of The Perry Daily Journal 1954-69; and worked at Shepard Refrigeration from 1969-79. He was a member of the First United Methodist church, a 32nd degree Mason and former member of the Lions club. In addition to his wife, of the home, survivors include one daughter, Billie Jean Keirns, Oklahoma City; and a sister, Helen Merrill, Tonkawa.